>>Do you wish you had fun, differentiated centers your kids begged to play? >>Do you wish they were so easy to prep, taking you less than a minute to switch from week to week? We all want our kids to be engaged while working, but meaningful centers take so much time to make! 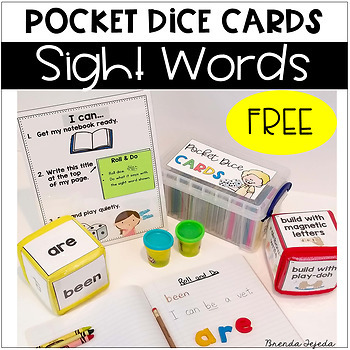 This pack takes your centers to a new level of engagement with very little prep from you! Rolling dice makes everything more fun and your students will love rolling their way into learning with these activities! 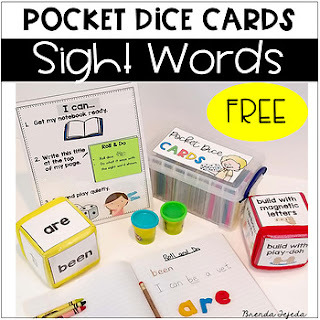 In this Sight Word Roll & Do game, kids roll a sight word die and a directions die. There are 12 activity options for you to choose from, so no materials are necessary, but some are optional. Written work can be done in a notebook, when applicable, to save paper and make it super easy to implement- no copying! Check out the bundle, with 50 games, including EXCLUSIVE games you can only get with the bundle!